Home sales continue to soar on the Palos Verdes Peninsula as we move into the summer months of 2016. There are currently 242 single family homes for sale in the four cities on the Palos Verdes Peninsula. The inventory is slowly increasing–we began the year with just under 200 homes on the market. 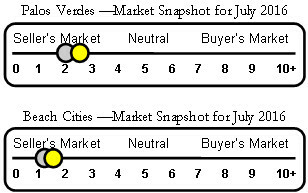 The increase in inventory caused our “Little Yellow Dot” to inch closer to a neutral market in Palos Verdes. The Beach Cities also made a slight move toward the neutral numbers. 97 Single Family Palos Verdes homes are in escrow with accepted offers. 83 Single family homes sold during June 2016. Year-to-date 364 single family residences have sold on the Palos Verdes Peninsula. Follow me on my Facebook page, Norma Toering Broker/Owner of Charlemagne Int'l Properties, to enjoy these Market at a Glance updates with Charlemagne Int’l Properties’ Little Yellow Dot. Contact me for a free consultation on how to maximize the value of your Palos Verdes or Beach Cities property. Norma@CharlemagneProperties.com or 310.493.8333. 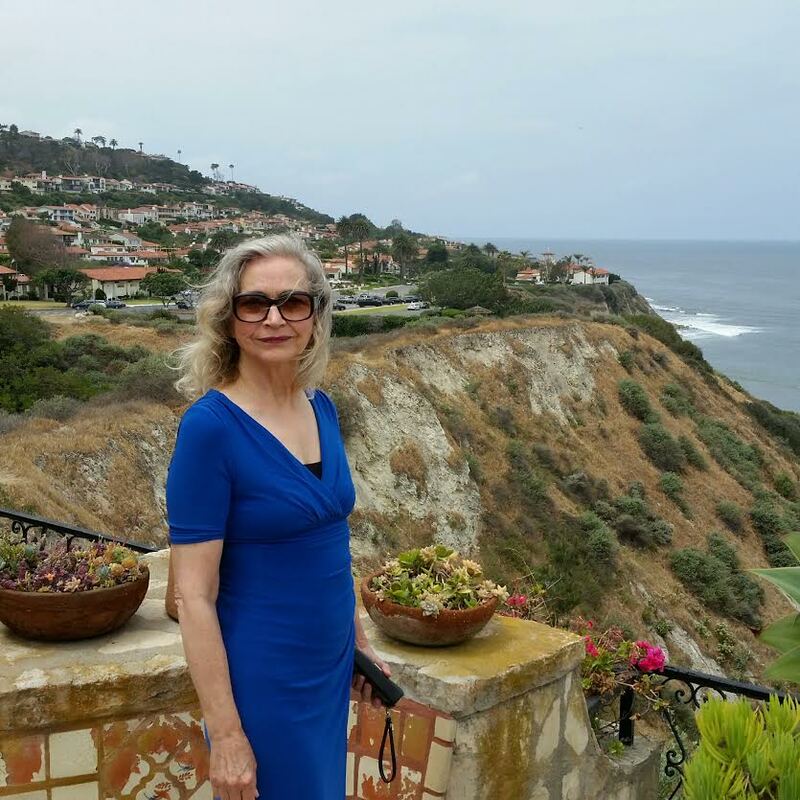 Norma Toering Broker for Palos Verdes and Beach Cities Thank you for taking the time to prepare and share this information.